AUGUSTA, Maine — A federal investigation found that Maine’s governor and Department of Labor officials intervened in unemployment hearings in a way that could damage the fair hearings process. The investigation report released Thursday concluded that the administration acted with “what could be perceived as a bias toward employers” and hearing officers could have interpreted expectations that they needed to be more sympathetic toward employers. The federal investigation was launched in April by the U.S. Department of Labor Office of the Solicitor General after an employment lawyer called on the federal agency seeking confirmation of claims that Gov. 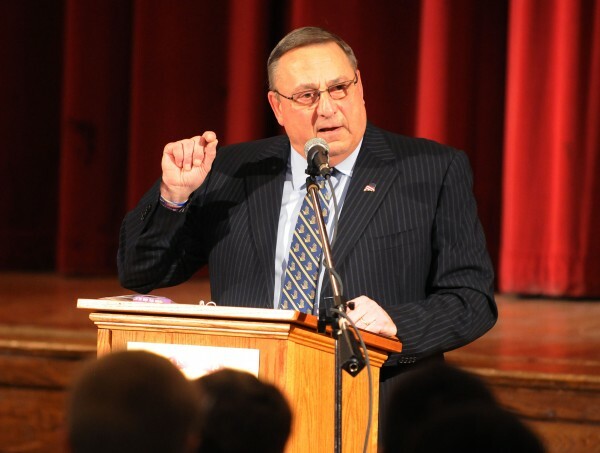 Paul LePage had pressured administrative hearing officers at the Maine Department of Labor to be more pro-employer in its findings on appeals of unemployment claims. An April 11 Sun Journal investigation cited sources who said the governor had summoned DOL employees to a mandatory luncheon at the Blaine House on March 21 and scolded them for finding too many unemployment-benefit appeals cases in favor of workers. They were told they were doing their jobs poorly, sources said. Afterward, they told the Sun Journal they felt abused, harassed and bullied by the governor. Emails released under a Freedom of Access Act request echoed complaints made to the Sun Journal by the hearing officers who attended the meeting. LePage denied the allegations, characterizing the meeting as “cordial” and said it had been an effort on his part to ensure fair hearings for all appellants. In May, Leticia Sierra, a lawyer from the U.S. Department of Labor’s Office of the Solicitor in Washington, interviewed in Augusta unemployment appeals hearing officers at the Division of Administrative Hearings as well as other state workers who attended the luncheon about allegations made in the Sun Journal’s report. David Webbert, president of the Maine Employment Lawyers Association, had called on the federal agency to launch an investigation into the allegations. Webbert had called on the federal agency to look into reports that LePage had berated roughly eight hearing officers at the March 21 lunch at the Blaine House for finding too many cases in favor of jobless workers. Also visiting the Maine DOL were a workforce security chief at the U.S. Department of Labor and someone from the regional employment and training administration in Boston, who met with Bureau of Unemployment Compensation Director Laura Boyett and reviewed unemployment files at the bureau in response to Webbert’s concerns. LePage had denied in comments to media that a federal investigation was underway. The hearing officers are the first line of appeals for unemployed Mainers who have filed for unemployment benefits, but were denied. Business owners also can appeal to a hearing officer if they have challenged the state’s decision to grant benefits to former workers. The role of examiners at the Division of Administrative Hearings is mandated by the federal government. Examiners are paid with federal flow-through money and are required to follow federal guidelines during the hearing process. Their hearings are reviewed quarterly by state supervisors and by the U.S. Department of Labor, where they are scored and rated pass or fail for adherence to “due process.” Maine’s examiners are rated above the national average, statistics show. Decisions by hearing officers can be appealed to the Unemployment Compensation Commission, a panel of three political appointees. Appeals of those decisions go to Maine courts. Members of a group commissioned by LePage that studied problems with the Maine unemployment claims and appeals process reported last month its recommendations aimed at improving the process, noting the state agency was severely understaffed and was hampered by poor communications. But the governor’s Unemployment Blue Ribbon Commission found “no direct or intentional bias against employees nor employers” after a review of roughly 360 cases filed over a nine-month period. LePage had appointed the commission in the wake of allegations of pressuring administrative hearing officers lodged in the Sun Journal’s April 11 investigative report. The Commission was silent on those allegations, leaving that investigation to the U.S. Department of Labor. LePage had told hearing officers at the luncheon that he had been getting complaints that business owners hadn’t received fair hearings, according to Sun Journal sources. But a later Sun Journal analysis of those complaints found that more former workers than employers had complained to the governor’s office about the unemployment claims and appeals process. In fact, only 30 of the nearly 400 complaints stacked on LePage’s desk since he took office in January 2011 came from business owners who took issue with the administrative appeals hearing process, the Sun Journal reported.